Tired of the Budo Police? Because of the events that has happened here on facebook. I made a post regarding the negative and abusive comments that Antony Cummins made on my page regarding my assistant (Mr. Chafin), myself and the Budo Ryu Dojo. In doing this, I thought it would be a good thing to share with you, what he said, how he said it, as well as my response towards it. I was thinking that this was positive and it would give all of the Budo Ryu students and my supporters a chance to voice their opinions in a public forum to be heard on this topic. However, stepping away and looking at this, I have decided to take down this conversation as it does nothing but lead to more negativity and personal bashing. As many of you know, I have never bashed anyone online. I have never made a hate video, nor have I have slandered or personally attacked anyone. Even the ones that has done this to me, I have never responded back to them in this fashion. To the Historical Ninjutsu Research Team: I am not part of it, I left it and it was for good reason. That is not me being mean, that is stating a fact. I wish them the best of luck in their future research of the arts. To the Budo Ryu students & supporters: Mr. Chafin is my assistant. He is one of the closest people to me and I love him very much. However, He has a mind of his own, and if I am going to do the things that I do to make myself happy in life, I have to allow him to do the same. There are times where he feels the need to express his thoughts on specific things that are regarding myself and the Budo Ryu. I do not think that it is a bad thing that students want to stand up for their teacher, or friends stand up for friends. So even though you may see things on Chafin’s page, keep in mind those are his thoughts and feelings and it does not always reflect the official stance of the Budo Ryu Ninjutsu Dojo or myself. He is a big boy who makes his own decisions and I love and support him very much. As far as the Budo Ryu is concerned, we are going to keep doing what we do. 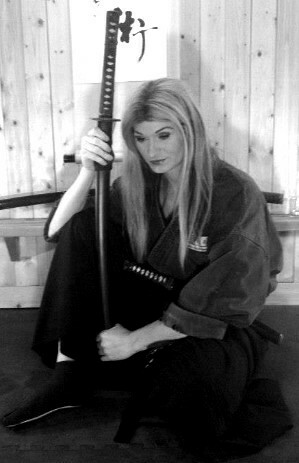 What we do is practice to attain a higher level of skill and excellence in all areas physically, mentally and emotionally in the warrior arts with a complete understanding of why we do it and where it came from. I realize that this was a long post, so I will make a quick video regarding these thoughts on this subject as well to help clear it up.